This pre-Halloween get up was constructed around the black tutu skirt that Veronica Sticlaru custom made for me and gave me as a gift for my birthday earlier this month. If you like it you can win one for yourself as she is giving one away to my readers - Veronica will make one for the winner in any color and size she/he wants. 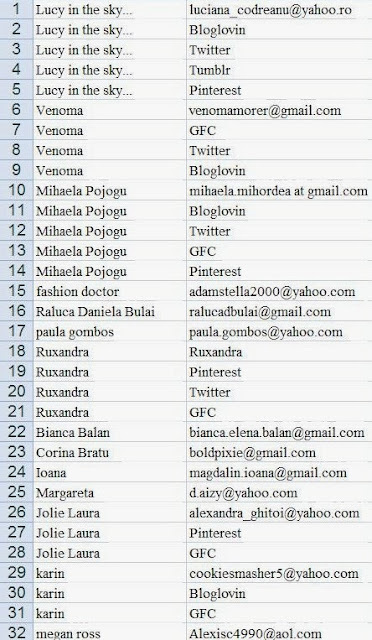 Daca va place tutu-ul meu va putetu inscrie la giveaway pentru sansa de a castiga unul identic sau oricare alta culoare si marime (Veronica o sa faca unul special in functie de preferintele castigatoarei/castigatorului). Prin urmare poate participa oricine chiar daca nu va vedeti purtand un tutu – il puteti oferi cadou fiicei, prietenei, iubitei sau cui vreti voi! 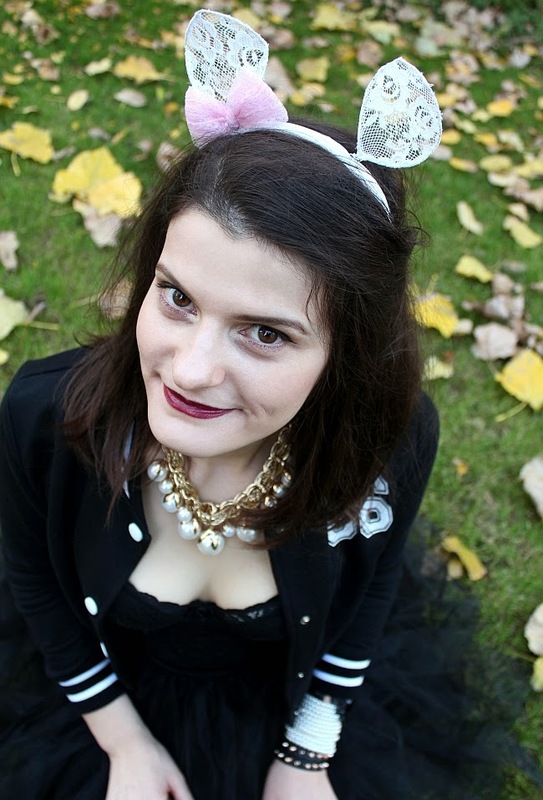 Not looking particularly witchy with this velvet ears on but I just had to go there. 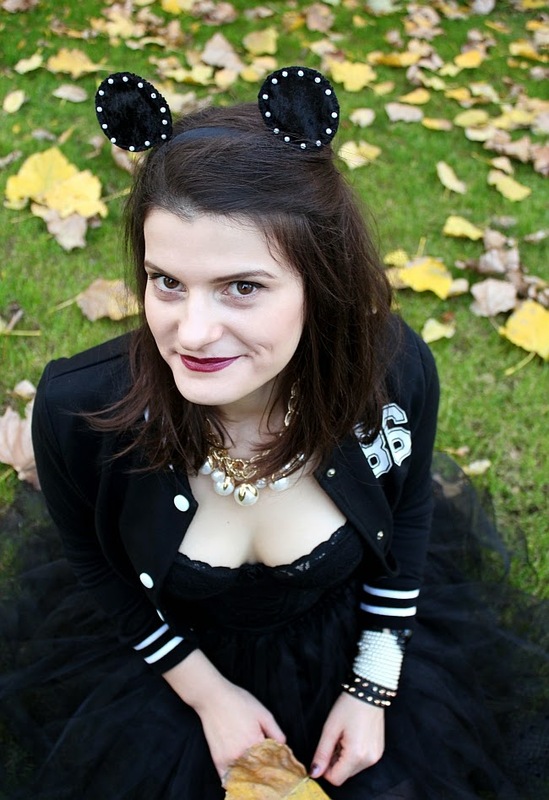 In case you are wondering the headband is made by me and you can find versions of it in my Etsy Store! The giveaway ends November 4th. 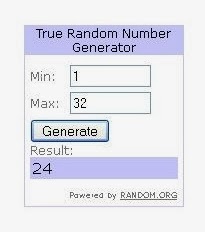 The winners will be sorted out randomly. This is an international giveaway – anybody can join in! No. 24 - that's Ioana! Congratulations! If you’re one of those people that don’t like Halloween then you’ll hate this article and should probably skip it. 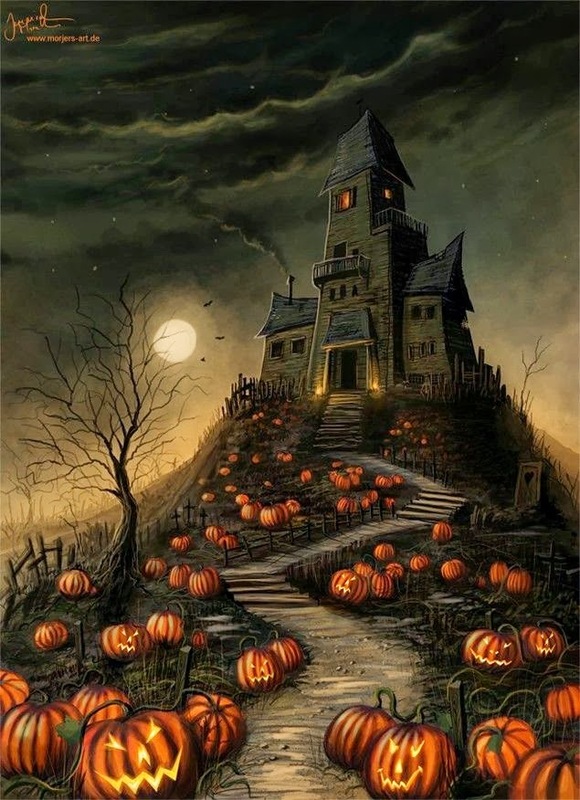 I, on the other hand, I’m a big fan of Halloween and pretty much think about it at least a month in advance. This year I’ve been a bit late with my thematic Halloween articles but you have plenty of material to read with the ones I already dedicated to Halloween treats and food, Halloween costumes and makeup and Halloween pumpkin carving and decorating. 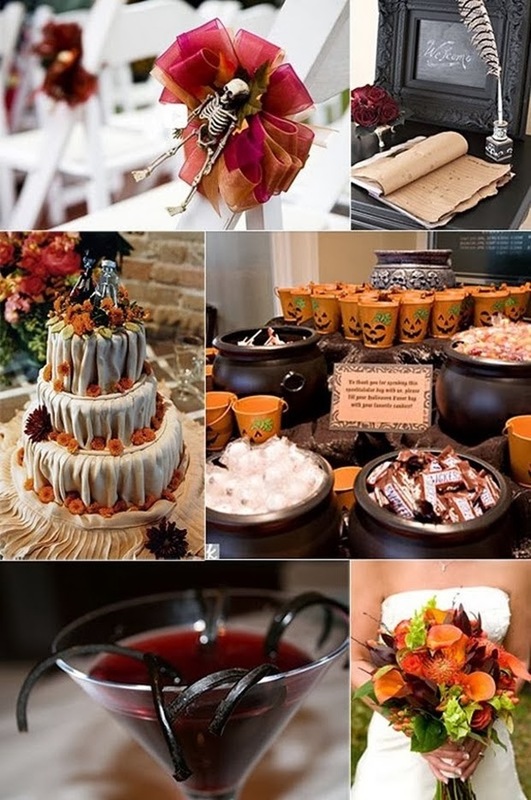 Right now we’re going to get into the Halloween mood, but I got more specific stuff planned for you later this week (Halloween decor, maybe some more Halloween costumes ideas, Halloween makeup and some amazing recipes for Halloween drinks and Halloween food). 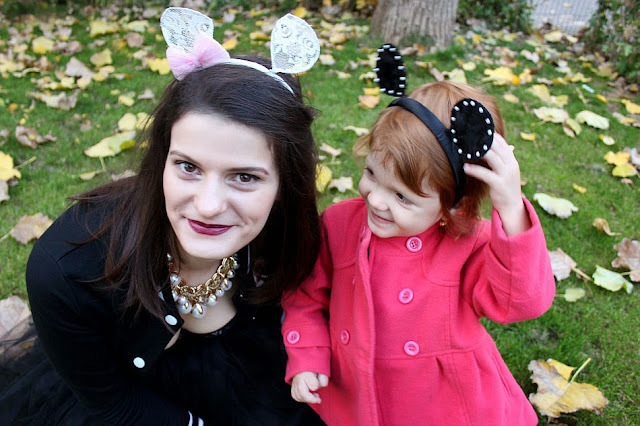 The selection of photos I chose for you is super inspiring and gave me lots o DIY Halloween ideas - hopefully they will have the same effect on you. 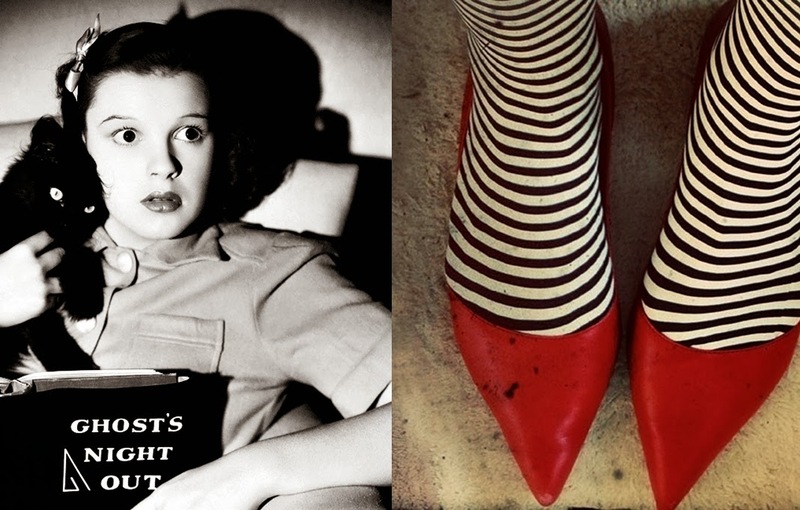 Judy Garland, a black cat, stripped tights and pointy red shoes - possibly the best combination ever! I think that every time you start planning a Halloween party you should have in mind the flying pumpkins scene at Hogwarts and think "What can I do to make my party look like the one in Harry Potter? ":)))) This is basically the goal! If you're planning to be a witch really commit to it, there's no half way to do it! 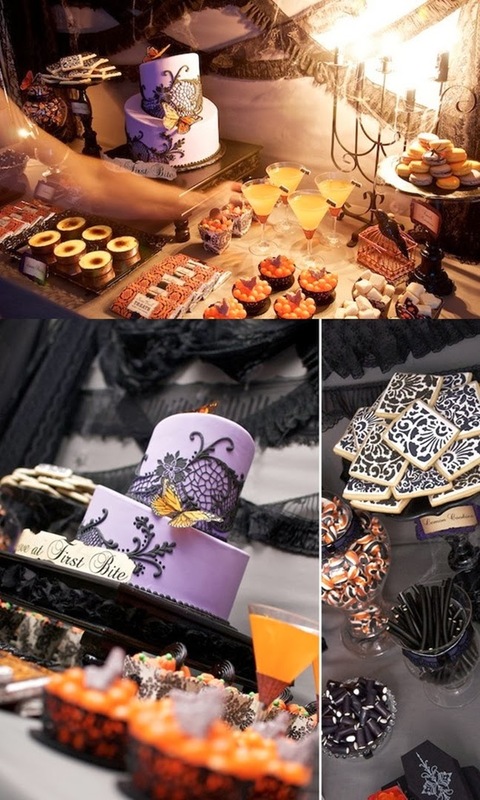 A Halloween wedding could be a bit excessive, not to mention supremely creepy but I dig the cake, drinks and decor! This is the perfect time to start watching "Sleepy Hollow" - a brand new TV show that's really amazing. I for one never imagined Ichabod Crane as being the hottest man on earth but Tom Mison made me a believer! I'm hooked! Lavender and purple mix really well into the traditional orange-yellow-black Halloween color scheme, wouldn't you agree? 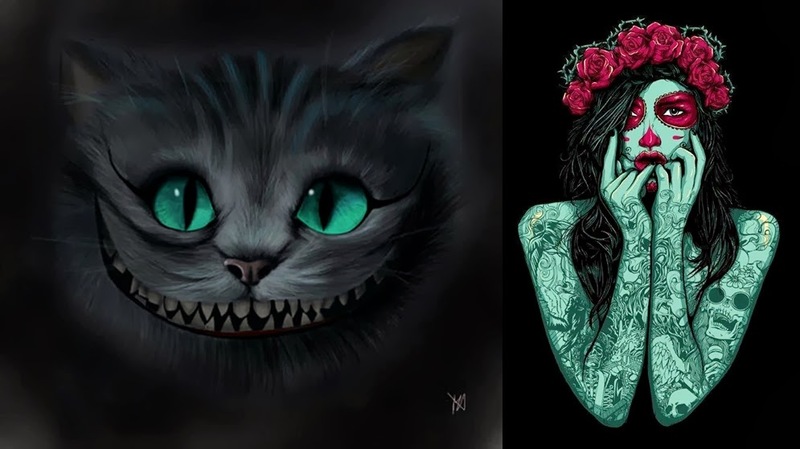 A Cheshire cat has to be somehow involved into the Halloween preparations! 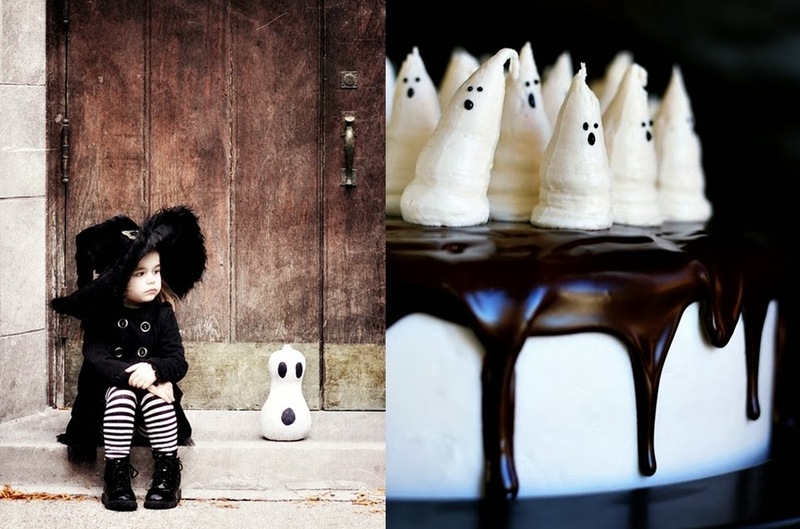 When it comes to Halloween kid's costumes this adorable little witch takes the (ghosts decorated) cake! 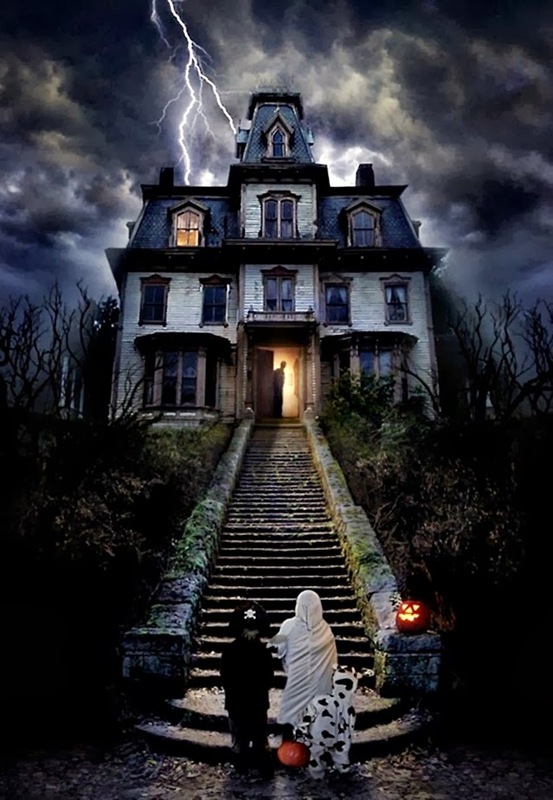 The haunted house of my nightmares! Trick or Treat? Yes, please! 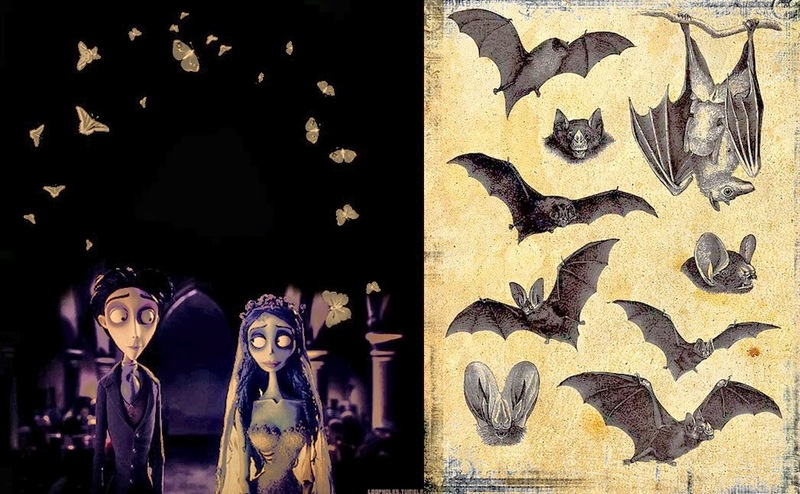 The night is long and full of horrors bats! 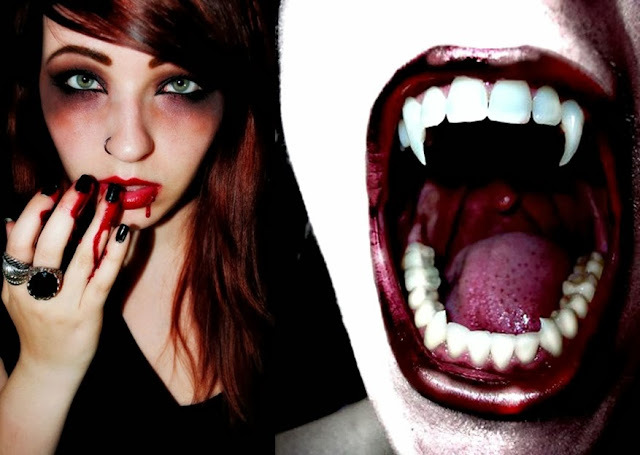 Amazing vampire makeup for Halloween (especially for redheads)! 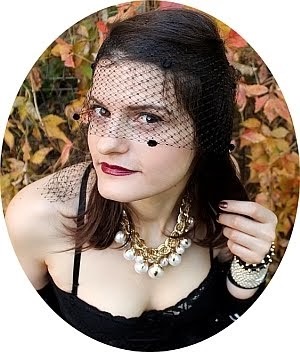 If you have to wear something provocative on Halloween be a pin up witch - there's nothing sexier on a broom! 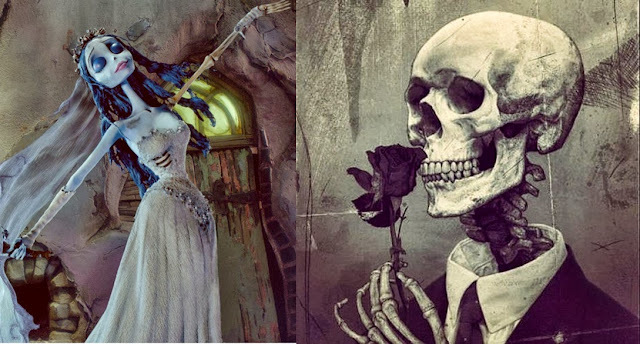 Who's feelin' the Halloween fever except me? I’m going to miss being able to wear cropped tops on bare skin now that the colder side of fall has descended over Romania. But before that I wanted to wear this top at least once – I ordered it with the cobalt dress I showed you last time and the stripped skirt I have on here. Once again the quality really won me over – the fabrics and finishing touches are great. Since the weather was not that friendly but still acceptable I went a bit retro with a yellow trench and mustard pumps. 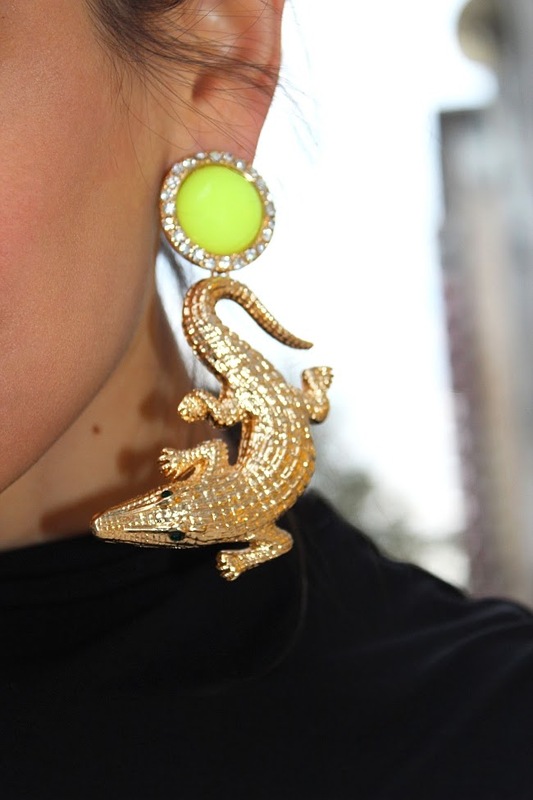 And how about my crocodile statement earrings? I had my eyes on them for a while and they don’t disappoint. 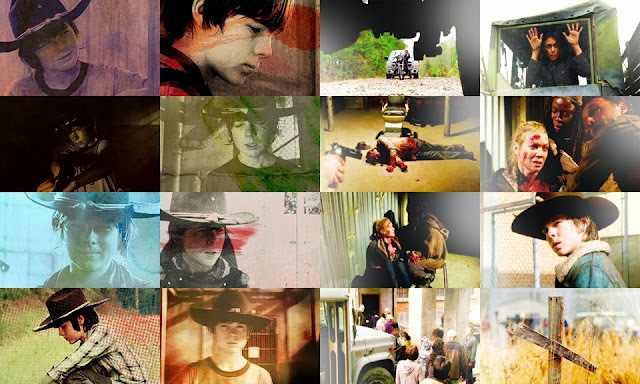 I expect me counting the days until the premiere of the 4th season of The Walking Dead won’t come as a surprise. I already feel like October 13 can’t get here soon enough - 16 episodes of terror and creepiness are in store for us this season and I’m ready for them all. You have to admit a show is good if despite all the creative shake-ups and behind-the-scenes reorganization it's still going strong - season 4 will be run by Scott Gimple, the third show runner in "The Walking Dead" history, after the original show runner Frank Darabont and his successor, Glen Mazzara, have both quit because of creative differences. The Walking Dead has survived all the changes while making rating history. 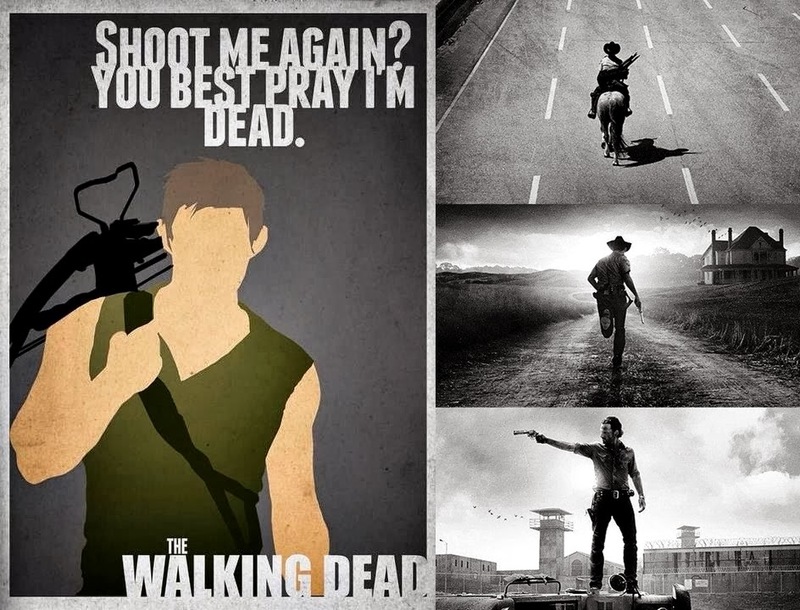 Last season's premiere had a massive 12 million views. 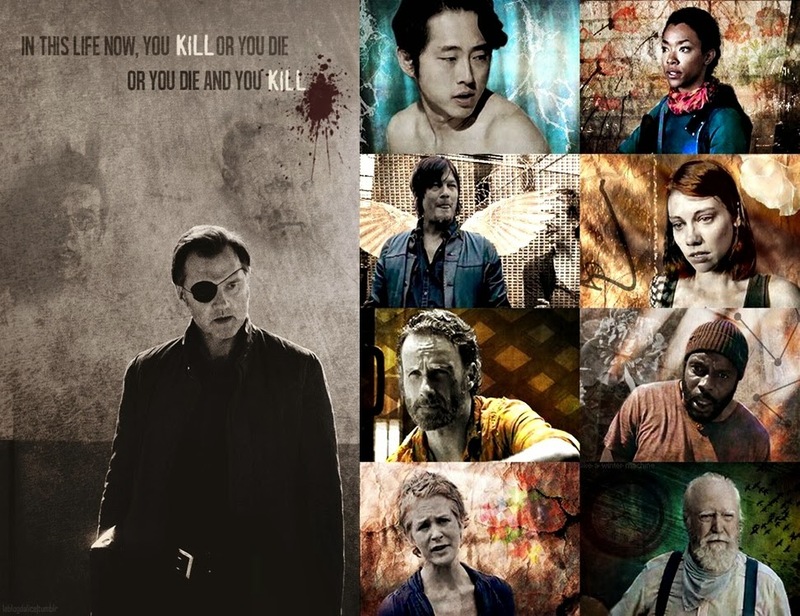 The premiere of season 4 is expected to have an even bigger viewership. 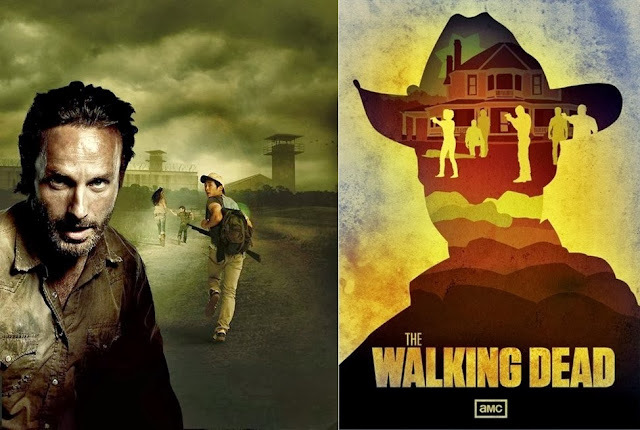 And yes, sometimes you want to scream at the TV because you can’t believe the nonsense happening but ultimately, at the end of each episode, all you want to do is see another one and that's what makes it a great TV show. 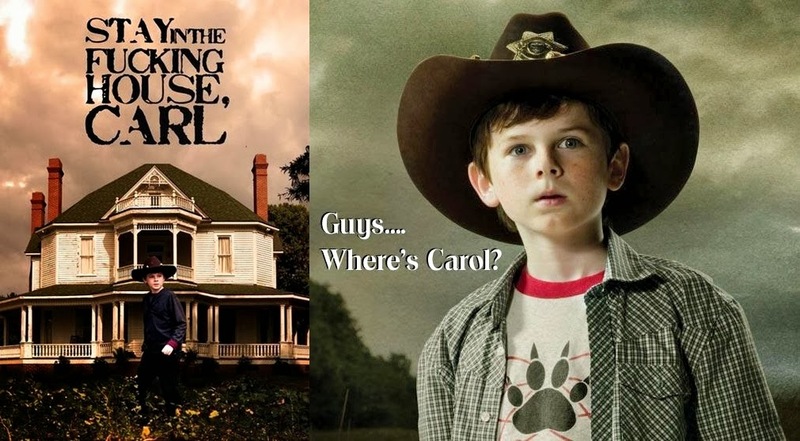 This season I’m really excited that Michelle MacLaren will return to direct the last episode, she directed some of the episodes from season one and two and those, especially in season one, were the best in my opinion. One of the reasons I liked season one so much was the fact that the apocalyptic scenario was much more real and terrifying because the group was outside and on the run. The last season left me wanting more zombie attacks! I feel like they rested too much on the human drama and kind of forgot about the zombies outside. And even though it was entertaining, I can get that kind of thrills from every other thriller/drama/horror movie out there. 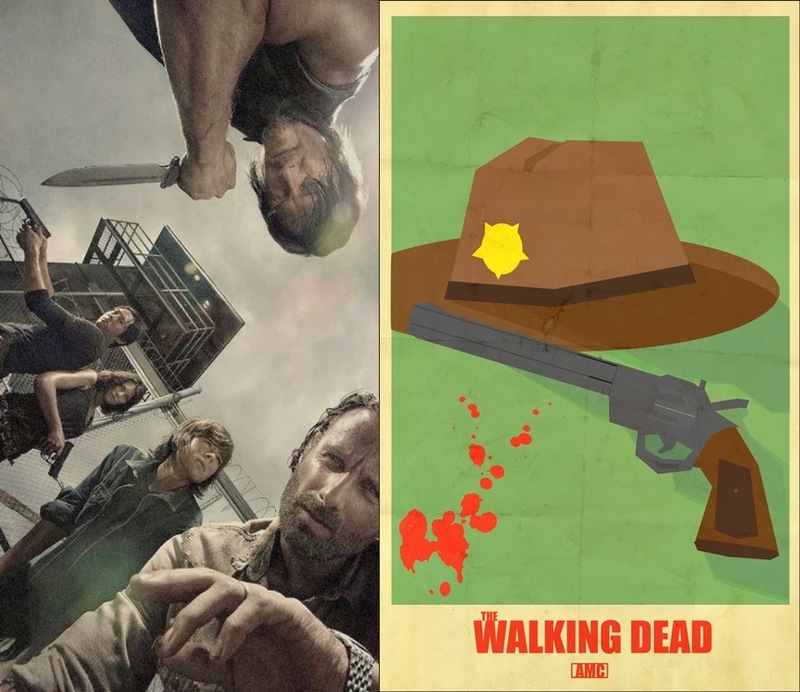 Thankfully the rumor around town is this season they are going back to basics and this time they will lean heavily towards zombie threats. Doesn’t that sound just wonderful? 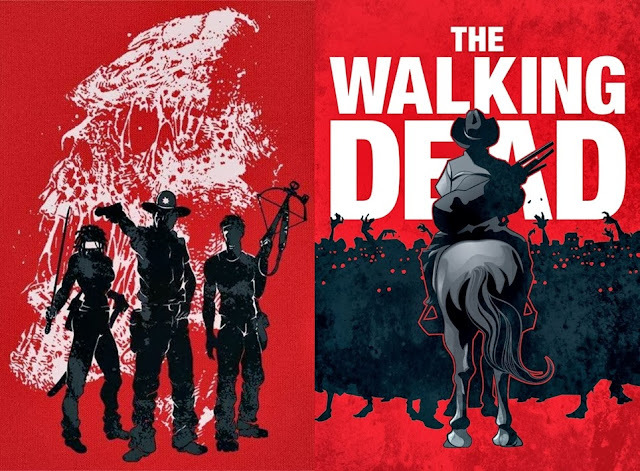 Also comic book co-creator Robert Kirkman is set to write at least two episodes of the season. I bet those will be epic, I mean who else better to do that then one of the original writers? 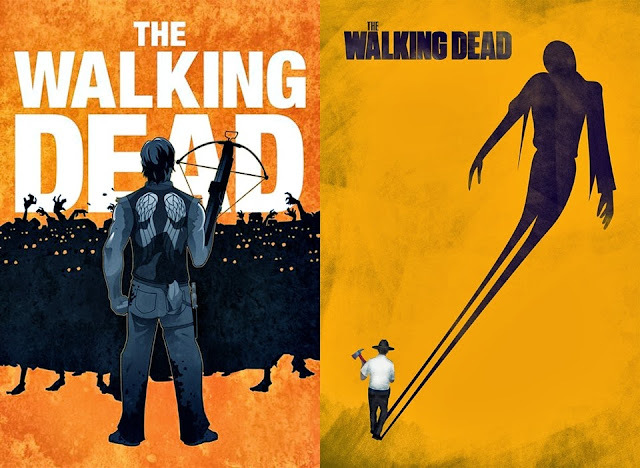 This season will bring more character into play which is always good considering people tend to die in a zombie apocalypse and Rick’s group is getting smaller every passing day. So you know it now - October 13 I will be braless in my pajamas, in my bed with an unhealthy amount of junk food nearby and proceeding to annoy my sister with my girlish screams of terror. Anyone as excited as me and counting the days?